1.Q: Do you offer samples for testing9 A: Yes,we offer samples for testing with cost paid by buyer. 5. Can you design the new housing based on our design9 A: We can design. 7. Do you have some new product coming9 A: We will design more and more new product with different high quality. Q4: Q:Can we have our logo or company name to be printed on your products or the package9 A:Yes,you can. Logo or imprints can be printed on our products by silk screen printing. If you want your logo and company name to be printed on the package for the products(custom design package). 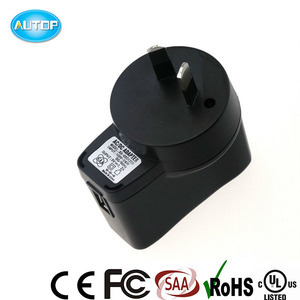 Safety standard UL FCC CE certified 5w 2.5w usb charger 5v 1a power Meet EMI Standard &lt;1&gt;. Fcc part15 class B rules &lt;2&gt;. EN55022 class B rules &lt;3&gt;. as following: Input Rated Voltage : 100Vac~240Vac Input Frequency Range: 47Hz~63Hz Input Inrush Current : 0.3A max Efficiency : 85%(MIN)at Rated Voltage Output: 5V1000mA Output power : 5W Ripple and Noise : &lt;120Mv at full road with 20MHz bandwidth Turn On Delay Time: &lt;3S (AC:110V and full load) Safety protection : over voltage and current protection for ac/dc adapter Leakage Current: &lt;5mA DC cable length: 1.5 meters Operating Temperature: 0&deg;C----+60&deg;C Storage Temperature: -20&deg;C----+85&deg;C Certificate: CE GS TUV UL/CUL FCC ROHS,SAA,PSE,C-TICK Safety Standard : EN60950-1 UL60950-1 ESD (EN61000 3-3) CAS (60950 ITE/TE) FCC Part 15 subpart B Class B AN/NZS CISPR 22:2006 Application: can fit UK US Euroepan market ,and can been used by Bluetooth device ,CCTV camera ,and LCD minitor , mobile phone ,pos machine , laptop adapter and so on . 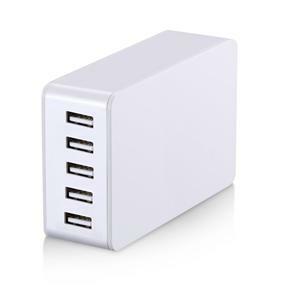 USB CHARGER Model Input Voltage Power Output Voltage Output Current Plug type SAP030030EU 100-240VAC 1W 3V 300mA EU ,US,UK,AU SAP030030US SAP030030UK SAP030030AU SAP050025EU 100-240VAC 2W 5V 250mA EU ,US,UK,AU SAP050025UK SAP050025US SAP050025AU SAP050050EU 100-240VAC 2.5W 5V 500mA EU ,US,UK,AU SAP050050UK SAP050050US SAP050050AU SAP050100EU 100-240VAC 5W 5V 1A EU ,US,UK,AU SAP050100UK SAP050100US SAP050100AU SAP120050EU 100-240VAC 6W 12V 0.5A EU ,US,UK,AU SAP120050UK SAP120050US SAP120050AU SAP050200EU 100-240VAC 10W 5V 2A EU ,US,UK,AU SAP050200UK SAP050200US SAP050200AU USB Charger instruciton: We are the profesional factory of swtiching mode power supply, power adapter ,usb charger , ac adapter , adapter , ac/dc adapter , Led driver, dimmable led driver, waterproof led driver etc . 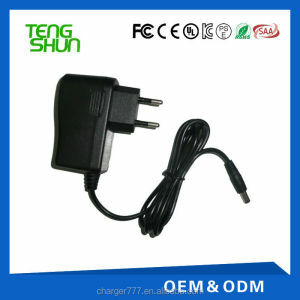 , we are trying the best to meet customer demands and willing to provide high quality product with excellent performance , best service and reasonable price to satisfied customer all over the world . .
Q: How about your warranty of the 9V ac adapter 9 A : Generally we offer 3-year warranty for our products. Welcome to contact us for detailed information via the contact ways mentioned below anytime! If you have familiar forwarders in China, we can send our goods there to save your cost. 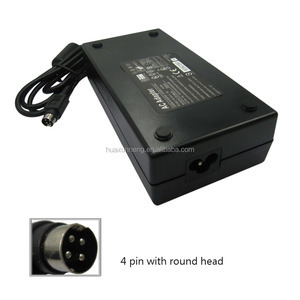 24V 4A Lead-Acid Battery Charger Specifications MAX: 100W 1)Input voltage range:90-264V 2)Frequency:47-63HZ 3)Output :29.4V(1~4)A,Green&lt;500mA. Features: 1)No Load Power Consumption:&lt;0.3W 2)Efficiency:82% Min 90%Max 3)Ripple&Noise:80mV-180mV 4)Working Temperature:0-40oC Max 5)Noise:50db Max 6)Leakage Current:0.25mA 7)Short Circuit Protection 8)Over Current Protection 9)Over Voltage Protection Packing: White box. : UL,cUL,CCC,CE,CB,GS,FCC,UL,EK,SAA,CSA,PSE. 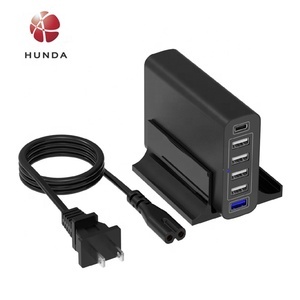 with CE SAA UL1310 14.8V 4.0A car charger for LiFePO4 battery pack Universal Smart Charger for 14.8V It is smart car charger 14.8V LiFePO4 battery pack CCCV charging mode MCU control the whole charging process,automatically detect the battery voltage,then charge the battery in correct voltage. Led indicate charging status Red---in charging Led indicate charging status Green---fully charged LiFePO4 battery pack voltage precision +/-1.0% Safety protection Short circuit protection Battery reverse connection protection Over voltage protection Input 12V from car Output 8.4Vdc when charge 1 cell Li-ion%Li-Polymer Battery pack 12.6Vdc when charge 1 cell Li-ion%Li-Polymer Battery pack 16.8Vdc when charge 1 cell Li-ion%Li-Polymer Battery pack 21.0Vdc when charge 1 cell Li-ion%Li-Polymer Battery pack 25.2Vdc when charge 1 cell Li-ion%Li-Polymer Battery pack 29.4Vdc when charge 1 cell Li-ion%Li-Polymer Battery pack 42Vdc when charge 1 cell Li-ion%Li-Polymer Battery pack charging current 4.0A One charger can charge 4 types of battery pack Brand name RCP Mobile:13005490628 Any question any time,feel free to contact me! Q2: What is MOQ9 A: MOQ is 100pcs,small trial order is also OK if we have stock material, 1000pcs for customized pantone color. 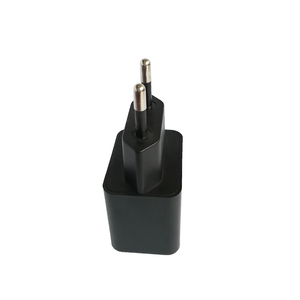 Q3: Can we print our logo9 A: We can print your logo on both travel adapter/charger and package. Q4: What&rsquo;s samples time and order delivery time9 A: About 3-5 days for customize sample. 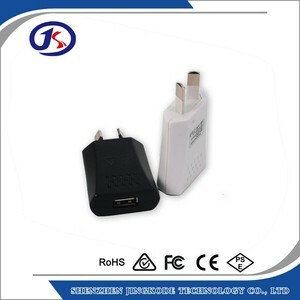 10 YRS Shenzhen Modiary Co., Ltd.
1 YRS Weipower Electronics Co., Ltd.
1 YRS Shenzhen BSY Technology Co., Ltd.
2 YRS Ningbo High-Tech Zone Weibo Trading Co., Ltd.
Alibaba.com offers 22,225 charger saa products. About 4% of these are switching power supply, 1% are led flood lights, and 1% are power cords & extension cords. A wide variety of charger saa options are available to you, such as ce, ccc, and c-tick. You can also choose from free samples, paid samples. 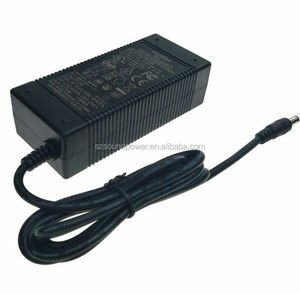 There are 22,225 charger saa suppliers, mainly located in Asia. 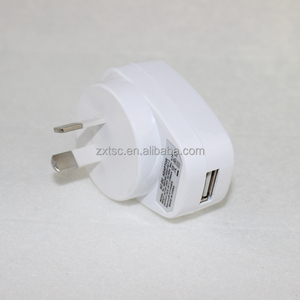 The top supplying country is China (Mainland), which supply 100% of charger saa respectively. 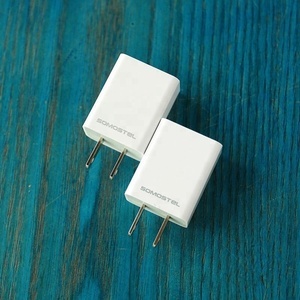 Charger saa products are most popular in North America, Western Europe, and Eastern Europe. You can ensure product safety by selecting from certified suppliers, including 6,719 with ISO9001, 510 with BSCI, and 453 with Other certification.